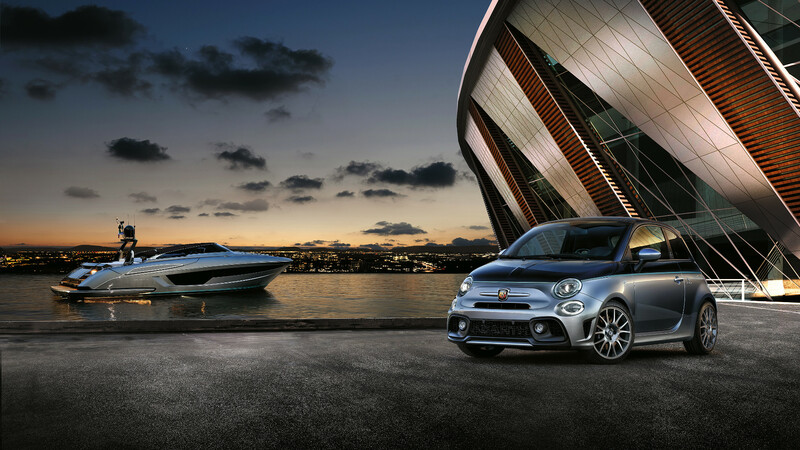 This is what happens when a sporty Italian marque teams up with a yacht builder. 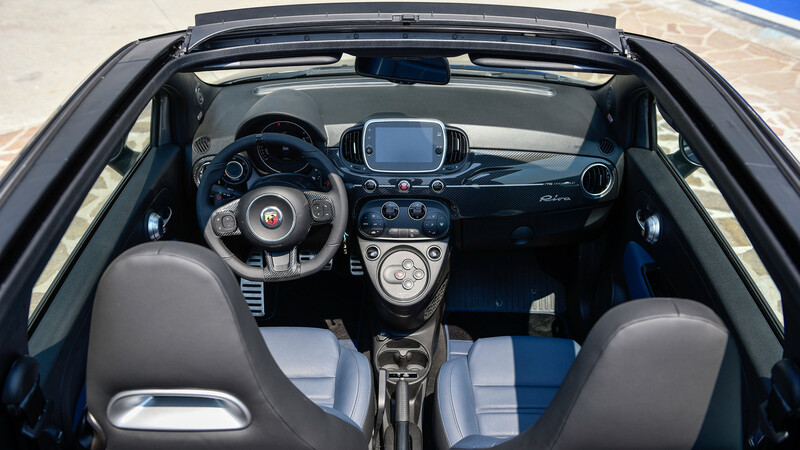 Automakers have a long history of drawing inspiration from the worlds of aviation and nautical travel, and earlier this week Italian carmaker Abarth revealed the latest example of this. 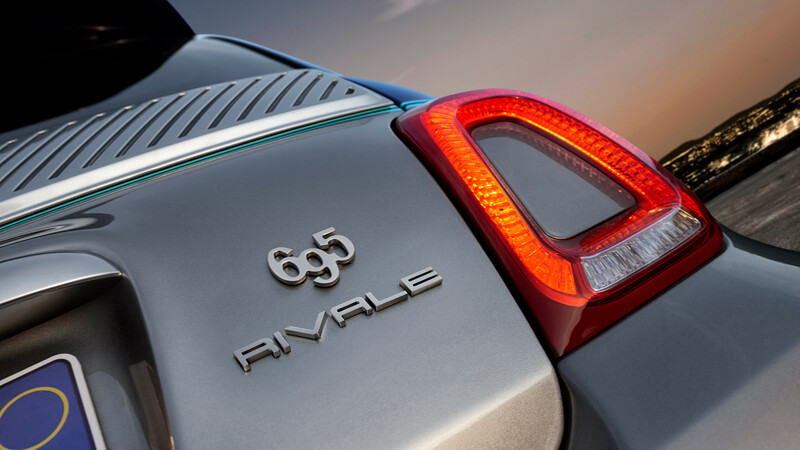 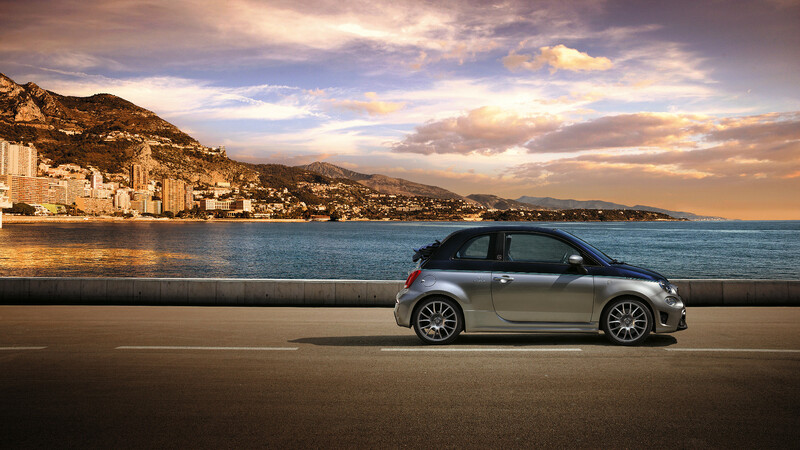 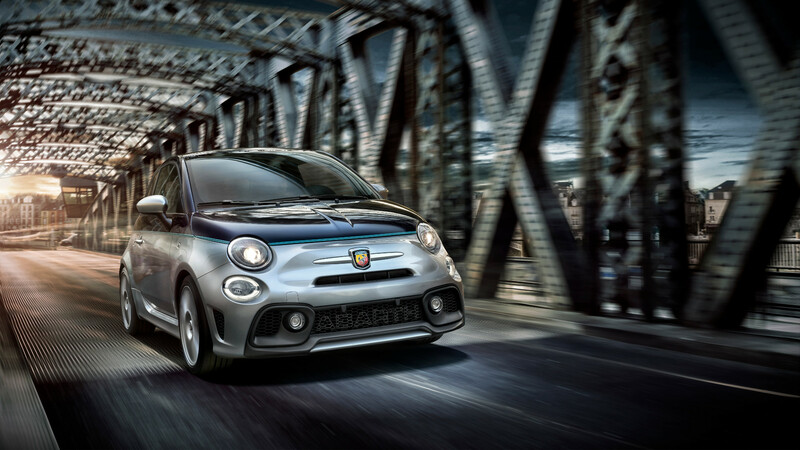 Born from a partnership with 175-year-old Italian yacht builder Riva, the Abarth 695 Rivale is an elegant, 180-horsepower pocket rocket based on the Fiat 500 city car. 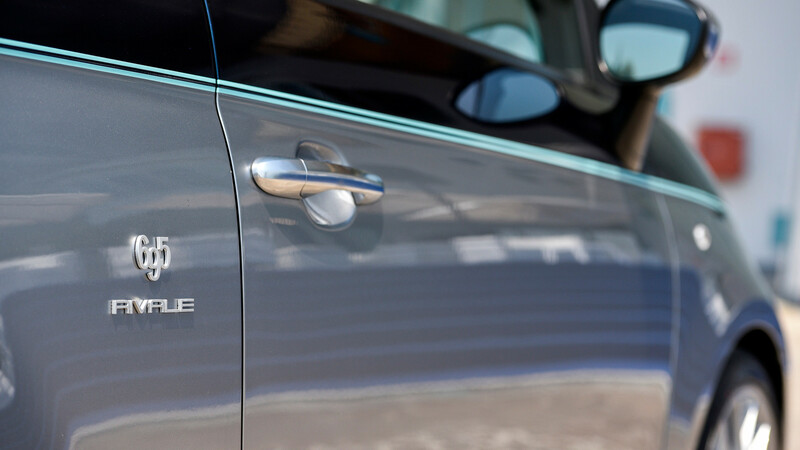 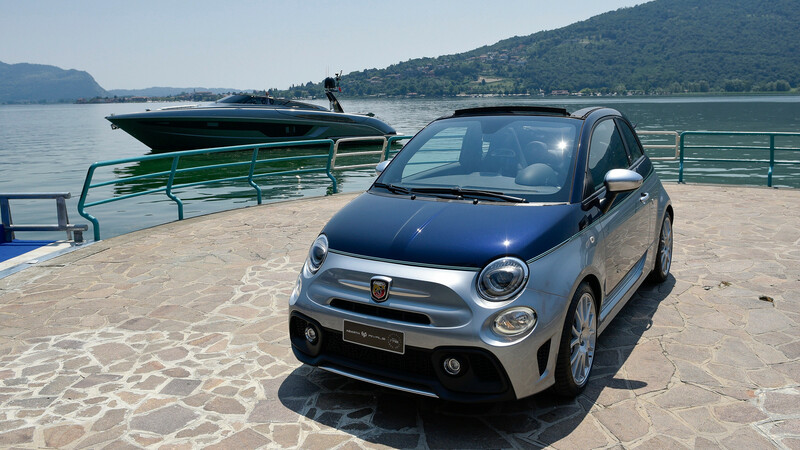 Its maritime sensibilities are worn proudly on its sleeve, from two-tone Riva Sera Blue/Shark Grey paintwork to waist-hight aquamarine double stripe—which resembles the type of "beauty line" you might find on a yacht. 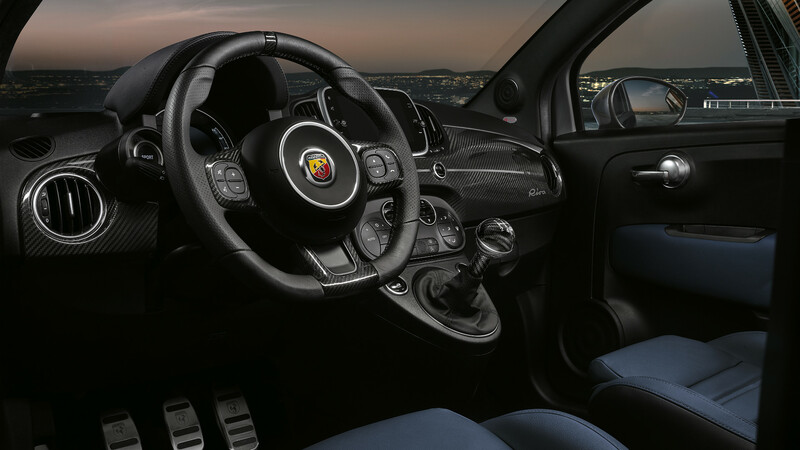 The Abarth 695 Rivale is available in small numbers, in either hatchback or cabriolet form, packing 180 peak horsepower and up to 184 lb-ft of torque courtesy of a turbocharged, 1.4-liter four-cylinder engine. 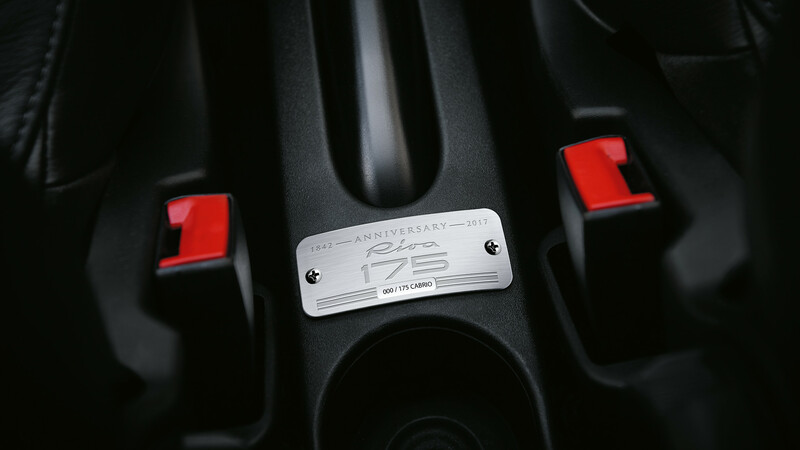 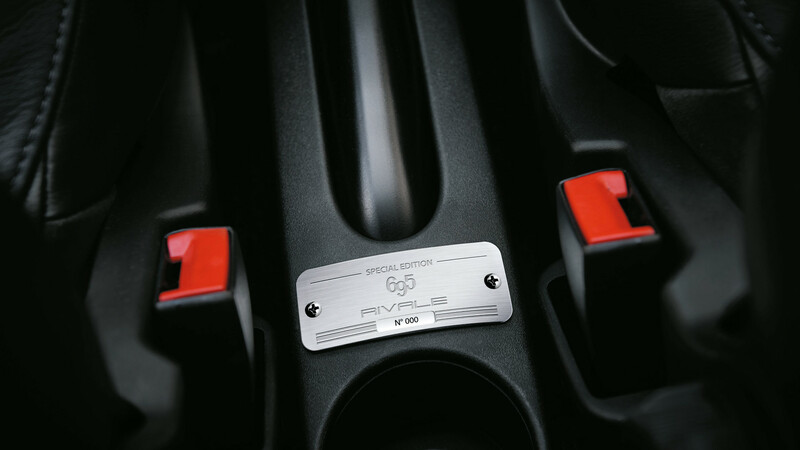 That's enough for a 6.7-second sprint to 62 mph (100 kph) for the 2,300-pound car and a 140-mph top speed. 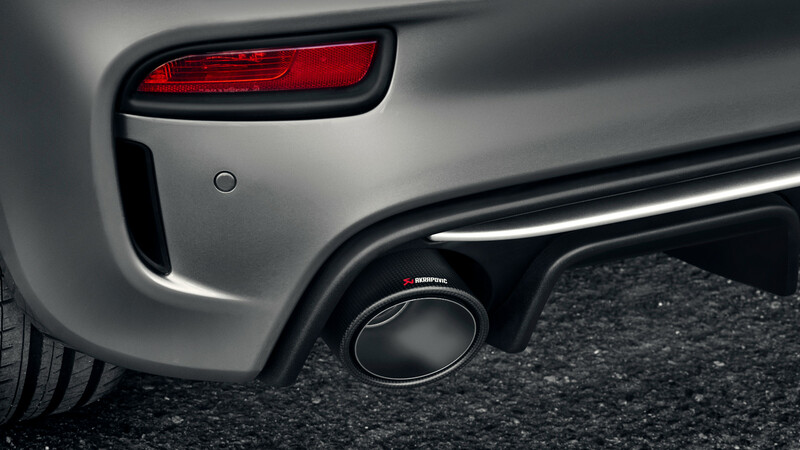 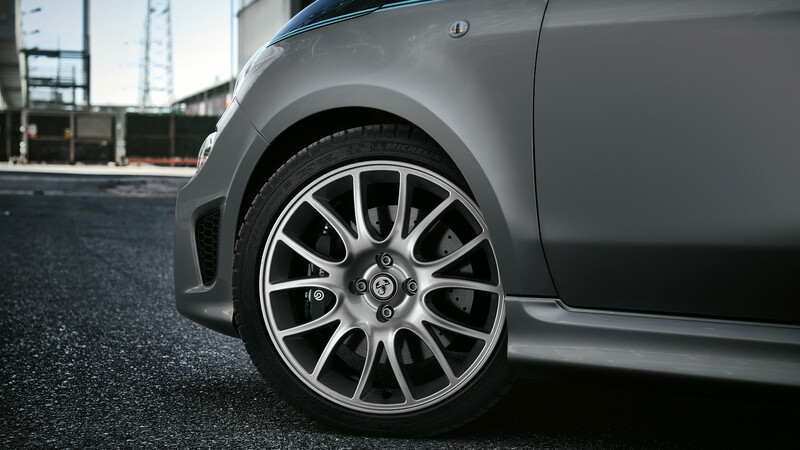 Brembo brakes, an "Abarth by Koni" suspension with Frequency-Selective Damping (FSD) tech, and an Akrapović exhaust system with carbon tail pipes all help bolster the sporty feel even more. 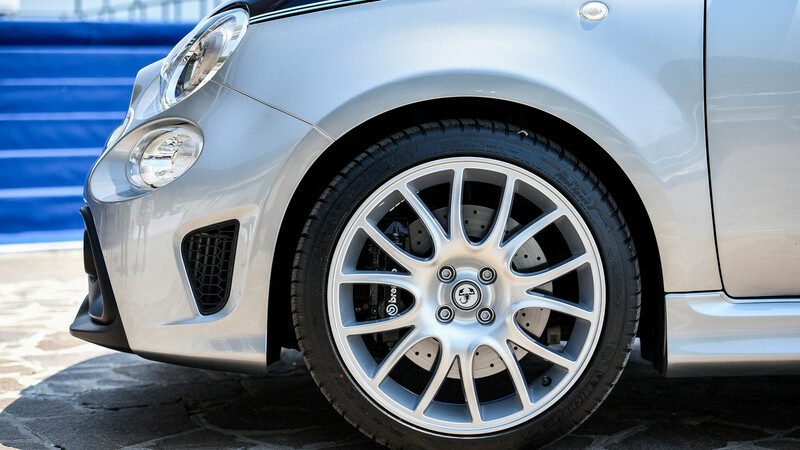 Aesthetically, the Abarth 695 Rivale sets itself apart with details like 17-inch Supersport alloy wheels finished in gloss gray, and satin chrome door handles and rear bumper molding. 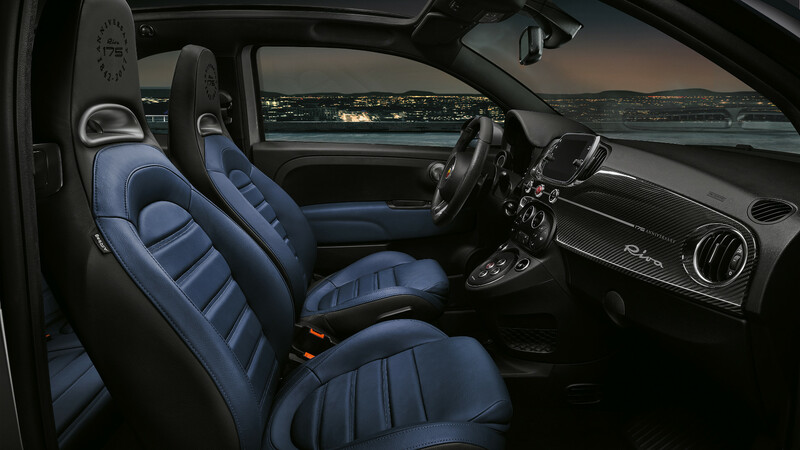 Inside, touches like carbon-fiber kick plates, black floor mats with blue inserts, seats and door panels swathed in blue leather, and a choice of either a carbon-fiber or mahogany dashboard strip further distinguish the Rivale from lesser 500 models. 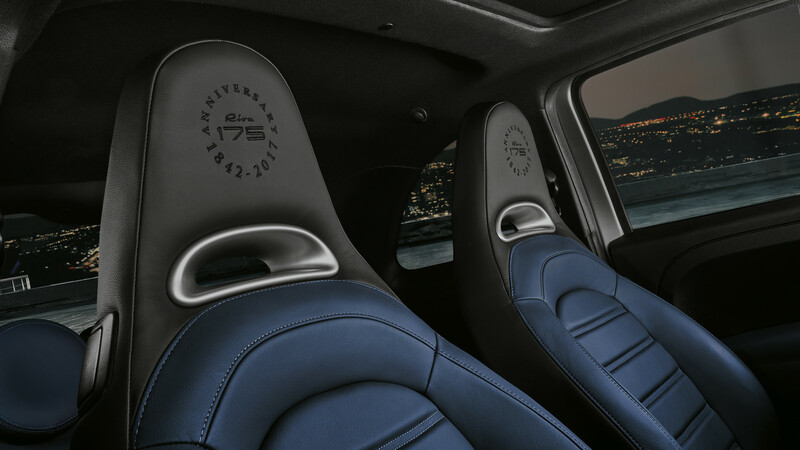 Opting for the mahogany treatment also grants the buyer a special steering wheel wrapped in blue and black leather with a mahogany badge, a blue leather cover for the instrument panel, and a gear-lever knob and kick plate similarly rendered in mahogany wood. 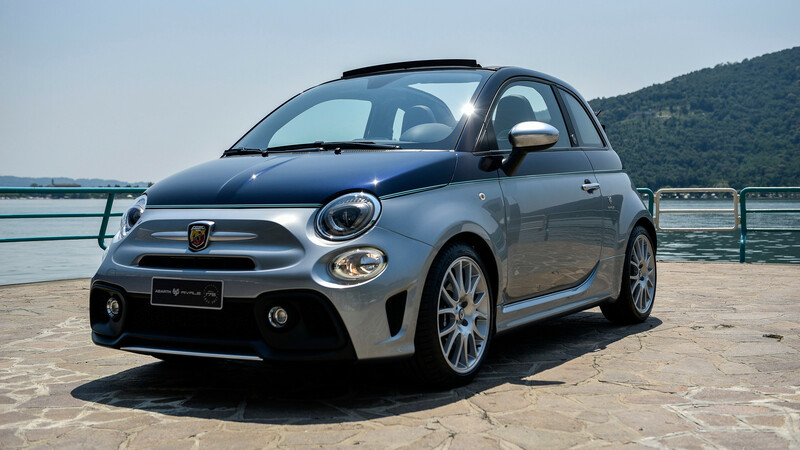 If you want to go more opulent still, there's an Abarth 695 Rivale "175 Anniversary" model, of which just 350 examples are planned for production: 175 sedans, and 175 cabriolets. 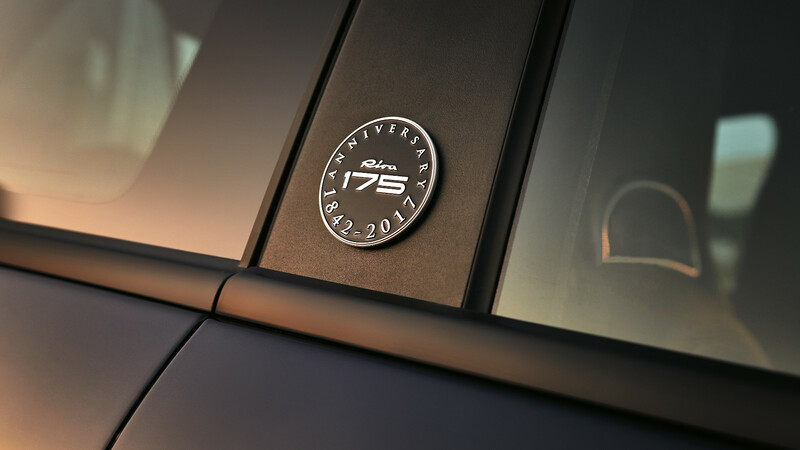 The model is meant as a nod to Riva's 175 continuous years of boat-building and features even more customized content like special wheels, hand-finished front seats wrapped in blue and black leather, and celebratory logos stitched onto the headrests and screen-printed onto the dash. 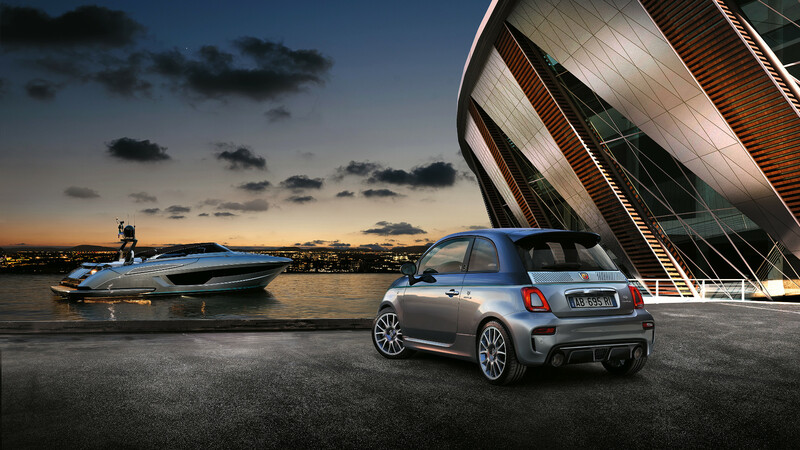 Whether you're an avid yachting enthusiast or you can't tell stern from starboard, there's no denying that the new Abarth 695 Rivale packs an awful lot of elegance into a very tiny footprint. 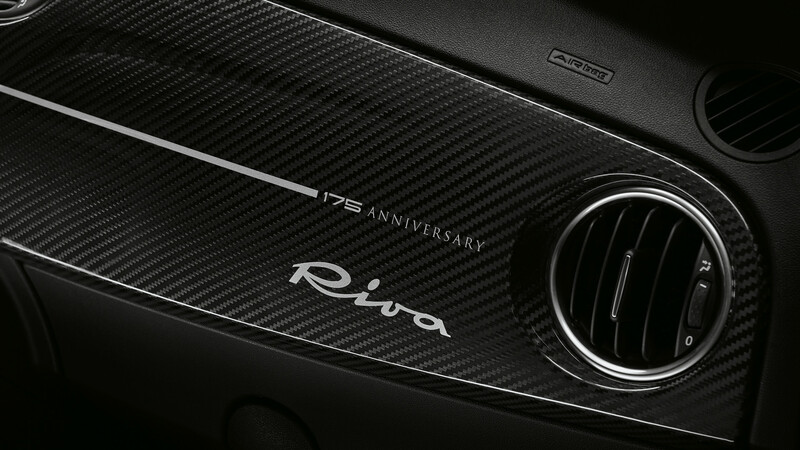 And it's as over-the-top as you'd expect.